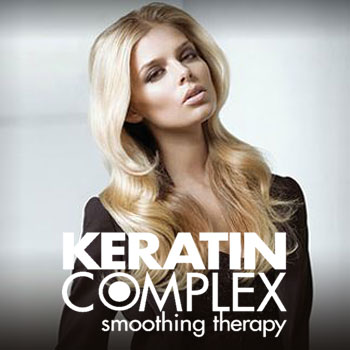 We are very excited to now be offering Keratin Complex Smoothing Therapy here at Limelight! EXPRESS BLOW OUT This reduces the curl level by 3, straightens and reduces the hairs natural volume. It takes around 45 minutes and lasts up to 9 weeks. INTELLIGENT BLOW DRY This also reduces the curl level by 3 but leaves the hair with body and movement, giving you the option to have a bouncy and voluminous style whilst also improving manageability. This treatment takes around 3 hours and lasts up to 12 weeks, with zero down time, wash your hair the same day! The intelligent blow dry is suitable for all hair types. It is a nourishing, moisturising, de-frizz treatment that makes the hair supple and adds shine. It is also ideal for those of you who are struggling to grow their hair past a certain length due to breakage as it supports thickness and density in the hair. CURL ENHANCMENT The intelligent blow dry treatment can also be used to nourish, de-frizz and enhance natural curls. Keratin Complex is the worlds leading smoothing system. It uses signature keratin that is ethically and sustainably sourced from sheep wool in New Zealand. Sheep wool is used to extract keratin as it is the closest match to human DNA. Conventional straighteners or relaxers may break the protein bonds within the hair’s structure, causing each strand to reform into a permanently straight shape.Keratin Complex’s revolutionary technology does not break the hair’s bonds, instead delivering the versatility of smoother, healthier-looking hair that can be styled wavy or straight as desired. The treatment also increases levels of cysteine, an essential amino acid found in keratin. This sulphur-containing amino acid is required for the disulphide bridges within the hair structure that give the hair additional strength and rigidity. Unlike other keratin treatments, Keratin Complex avoids the use of formaldehyde by using glycolic acid to soften the cuticle in order to to push the treatment deeper within the hair structure.